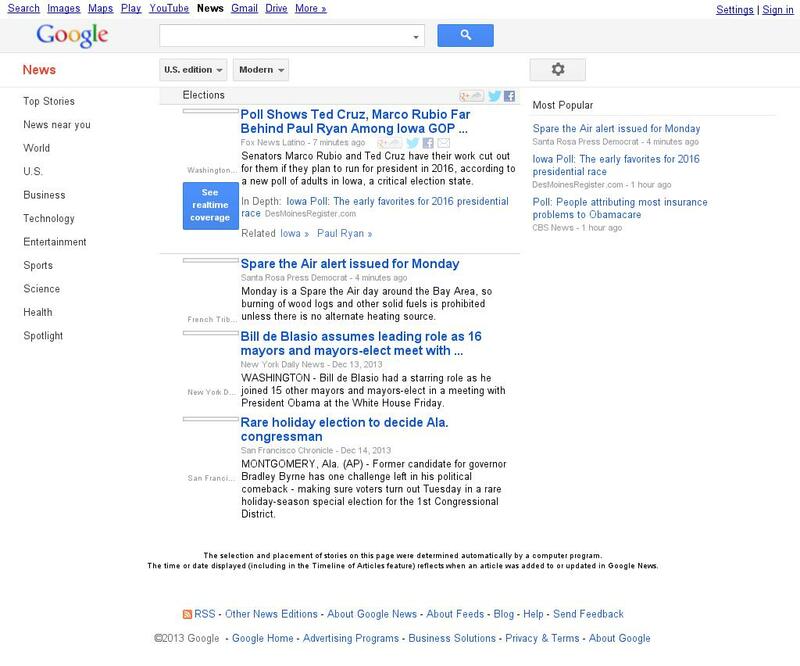 "Google News: Elections homepage at Dec. 16, 2013, 5:06 p.m. UTC." PastPages. Last modified December 16, 2013, http://www.pastpages.org/screenshot/1257426/.